A Down Policing and Community Safety Partnership (PCSP) conference highlighting the impact of drug misuse on our communities has been hailed as “a huge success” by PCSP Chairperson Councillor Carmel O’Boyle. 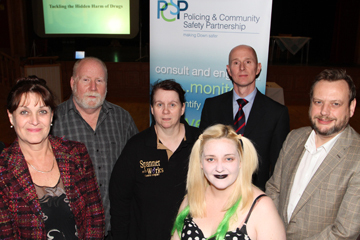 At the Down Policing and Community Safety Partnership were Councillor Carmel O’Boyle, Chairperson, Ed Sipler, South Eastern Trust Health Promotion Consultant, Patricia Downey and Caroline Curran from Spanner in teh Works Theatre Company, DI Andy Dunlop, PSNI Special Drugs Unit, and Gary McMichael, ASCERT. 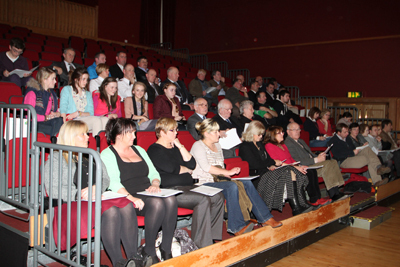 Over 100 people from community organisations, public bodies, and members of the public attended the session on Monday 19 November 2012 in the Great Hall in the Downshire Estate in Downpatrick. The conference delegates enjoyed a performance of extracts from the play called Popping Candy which was performed by actors from Spanner in the Works Theatre Company. The play is a hard-hitting drama which explores the complex and controversial issues around drug misuse it also shines a spotlight on the mental health problems facing our young people today. Conference delegates also heard presentations from leading drugs experts from the PSNI, ASCERT and South Eastern Health and Social Care Trust. PSNI Inspector Andy Dunlop explained: “We focus our law enforcement activities on those engaged in the importation, supply and distribution of controlled drugs and use all lawful methods and tactics to apprehend and prosecute the people involved. The public can be assured that the PSNI is working tirelessly in order to reduce the potential harm being caused to people from controlled and prescription drugs, by seizing these drugs before they reach the streets. 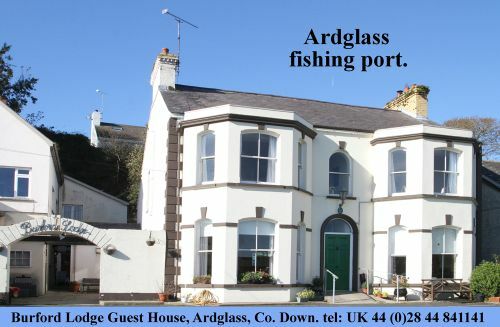 Our work has taken us to many counties this year alone across Europe and across the world. A section of the audience who took part in the drugs awareness conference organised by the Down Policing and Community Safety Partnership. Ed Sipler, Health Promotion Consultant, said that the biggest legal drug was alcohol, and that the average age for experimenting with it initially was 12 years old. He emphasised the need to get the message out to young people particularly that it was alright to talk about their problems, that they were not alone in facing up their issues and that there is help out there. Before the conference started, there were a number of stands providing information and booklets etc on how to combat the spread of drugs.